In light of the ordination to the priesthood of eight deacons this week, eRecord journalist Marco Ceccarelli has spoken with each candidate about his faith journey. In this article, Marco focuses on brothers Stephen and Grant Gorddard and looks at their rare and insightful journey to the priesthood. Growing up in the picturesque Western Australian port city of Bunbury, Deacons Grant and Stephen Gorddard’s faith was nurtured within a family that prioritised prayer and the transmission of Christian values above all other things. While the two brothers shared many beliefs and interests throughout their adolescent years, neither of the two had imagined that they would join St Charles’ Seminary, Guildford at the same time and find themselves being ordained to the priesthood on the same day. The two young men, who have served as deacons for the past eight months, will be ordained priests for the Archdiocese of Perth by Archbishop Timothy Costelloe SDB on 1 August. “From the moment I first heard the call, I’ve always wanted to consecrate my life to Christ and the Church and, having lived parish life for the last few months, I am confident that the diocesan priesthood is where Our Lord is calling me,” said 38-year-old Deacon Grant, who has just finished a pastoral placement in the parish of Ballajura, Mary MacKillop Church. “The diocesan priesthood is the particular way that I feel I am being called to give my whole self to Christ and the Church. “I feel called to pray for God’s people, to help them encounter Christ and experience His love, and to spiritually nourish, lead, and serve them as they, too, give their lives for Christ and the Church,” he added. Having completed an engineering degree in electronic systems in 1998, Deacon Grant temporarily worked as a computer control systems engineer in Perth before moving to Melbourne, in 2005, to discern his vocation within religious community life. He eventually completed a Masters of Theology at Melbourne’s John Paul II Institute for Marriage and the Family – a learning experience which brought him to greater understanding of contemporary cultural issues concerning the dignity of the human person, marriage, family and sexuality. Guided by his spiritual director in Melbourne, Deacon Grant responded to God’s call to the diocesan priesthood and began his formation at St Charles’ Seminary in 2009. His comments on the Lord’s faithfulness throughout his life journey stand as inspirational words of counsel for anyone contemplating saying ‘yes’ to this honourable vocation. “Do not be afraid to give your life for Christ and the Church! No one who gives their life to Christ will find themselves at a loss. “It is scary at first when you are discerning whether to leave your present life and enter the seminary, and there will be doubts and concerns why not to go ahead, but if God is calling you to the priesthood then you need to trust that Our Lord will give you the grace and everything you need to respond to that call. “As I now approach my ordination to the priesthood, I have absolutely no regrets about making that decision years ago and there is nothing else I’d rather be doing,” Deacon Grant said. Deacon Grant’s younger brother, 31-year-old Stephen Gorddard, who last year explained that the vocation to the priesthood corresponded with the deepest desires of his heart, recently stated that the upcoming ordination is a confirmation that his life was made for the priesthood. “As (St) Augustine said so powerfully: ‘You have made us for yourself, O Lord, and our heart is restless until it rests in you’,” Deacon Stephen said. “Our rather secular and often wounded society constantly searches in vain for what satisfies the heart. I have great hope that my priestly ministry, together with that of the Church as a whole, will never become irrelevant, and in fact will only grow more relevant in this time,” he said. Finding the courage to interrupt his studies in Chemical Engineering and Management to discern his vocation was one of the many turning points in Deacon Stephen’s life. After seven years of formation at St Charles’ Seminary, Guildford, he currently stands humbled, hopeful and perhaps slightly incredulous at the wonders which God has worked in his life. “When one considers what the priesthood is, how can anyone claim to be worthy of the priestly office? 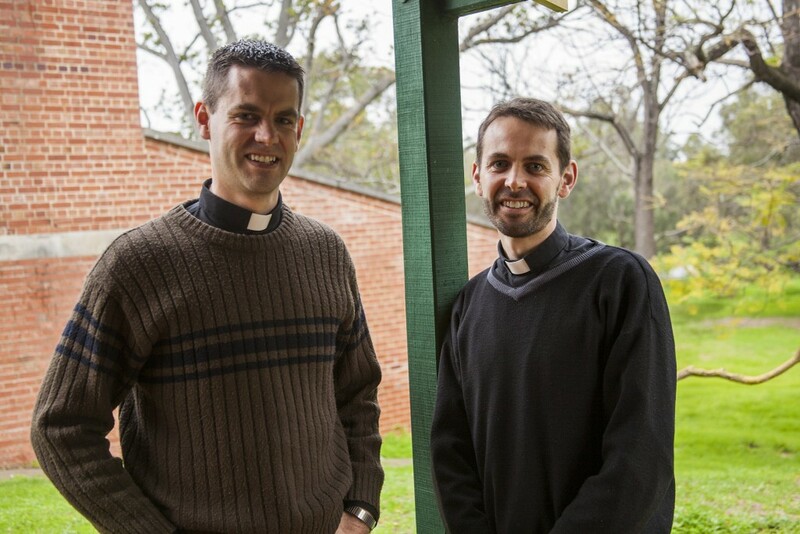 Deacons Grant and Stephen will be ordained to the priesthood by Archbishop Timothy Costelloe SDB at St Mary’s Cathedral, Perth, on 1 August 2015, at 10am.